Optoelectronic engineers have manufactured a special type of LCD that is paper-thin, flexible, light and tough. With this, a newspaper could be uploaded onto a flexible paperlike display that could be updated as fast as the news cycles. It sounds futuristic, but scientists estimate it will be cheap to produce, perhaps only costing $5 for a 5-inch screen. The team focused on two key innovations for achieving highly flexible designs. The first is the recent development of optically rewritable LCDs. Like conventional LCD displays, the display is structured like a sandwich, with a liquid crystal filling between two plates. Unlike conventional liquid crystals where electrical connections on the plates create the fields required to switch individual pixels from light to dark, optically rewritable LCDs coat the plates with special molecules that realign in the presence of polarized light and switch the pixels. This removes the need for traditional electrodes, reduces the structure's bulk and allows more choices in the type and thickness of plates. 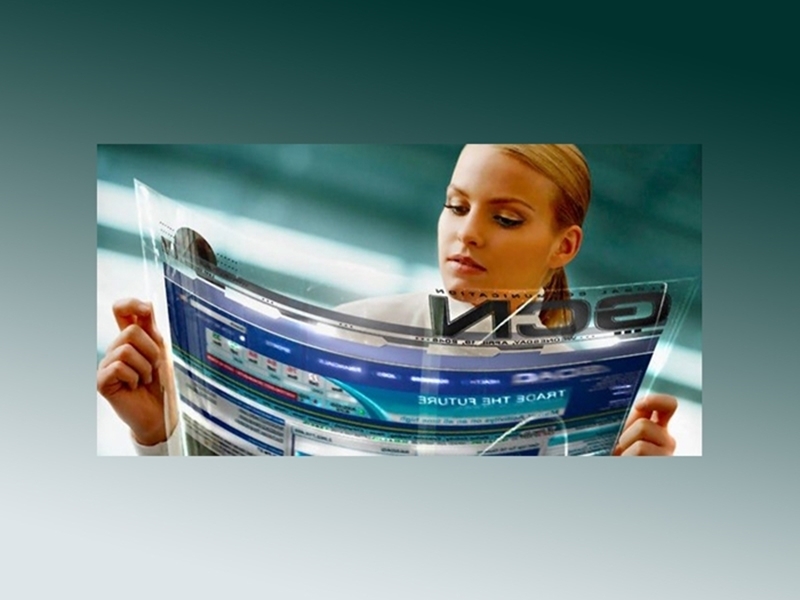 Consequently, optically rewritable LCDs are thinner than traditional LCDs, at less than half a millimeter thick, can be made from flexible plastic, and weigh only a few grams. "It's only a little thicker than paper" said Jiatong Sun, a co-author from Donghua University in China. "Now we have three colours but for full colour we need to make the pixels too small for human eyes to see" Sun said. You can check out our LCD products here.